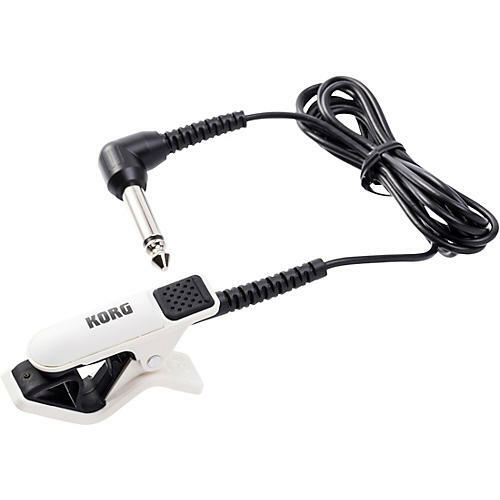 The CM-300 is a clip-type contact microphone that attaches directly to your instrument. It uses a piezo element that sends the vibrations of your instrument directly to your tuner. Even when you're in an environment with high ambient sound, such as a large ensemble, this mic allows high-precision tuning. The shape of the cable's strain relief where it joins the unit has been modified for increased durability in comparison to the previous model, and sound transmission performance has been further improved. Call or clip to order today.